Sophisticated dining experiences are synonymous with Rick Erwin Dining Group (REDG) restaurants. The newly announced, Saltwater Kitchen, will carry the spirit of REDG but offer a more casual vibe. 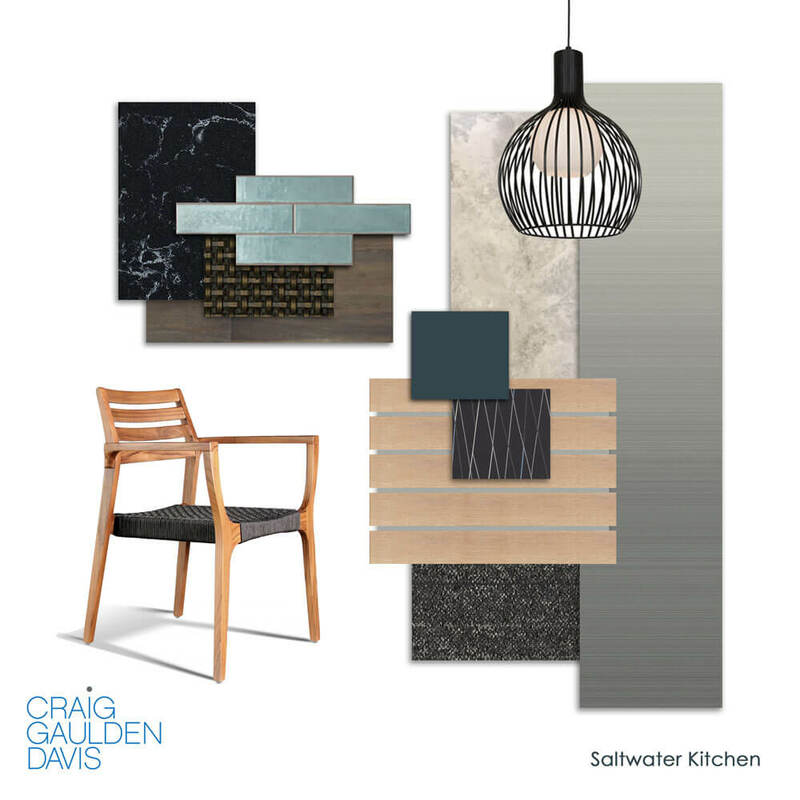 With indoor and outdoor space at Haywood Mall, guests will enjoy the calming grays and deep blues that unify the interior design and nod to things above and below the waterline. A large soapstone bar top with seafoam green back bar tiles are the focal points upon entry, whether from the airy, covered patio or Mall entrance doors. Interior finishes include oyster shell-inspired tile, slat wood, linear textiles, and the swell of dark to light wallcoverings. Knowing durability is essential, CGD responded in a way that meets the design goals and aesthetic of this new REDG experience. Cozy booths, banquettes, bar seating, and al fresco dining with REDG’s reputable customer service and sea fare menu will make Saltwater Kitchen Greenville’s, and certainly Haywood Mall’s, newest culinary darling. Saltwater Kitchen will have the capacity for 156 guests and is 6,145 square feet. Craig Gaulden Davis has designed six other REDG restaurants including Rick Erwin’s West End Grille, Deli & Market, Clemson, Eastside, The Standard, and Level 10.